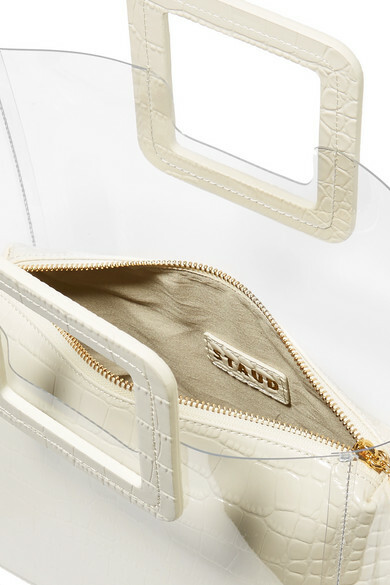 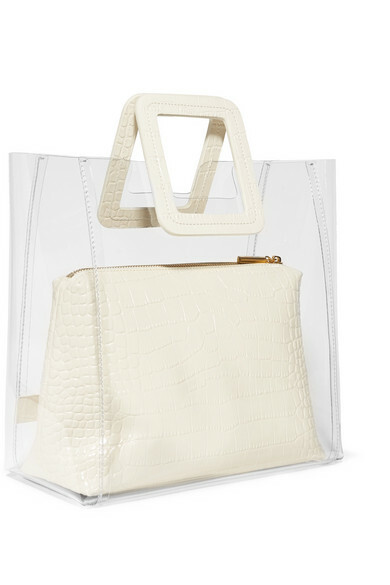 PVC remains a key accessory trend this season and STAUD's 'Shirley' tote perfectly embraces this. 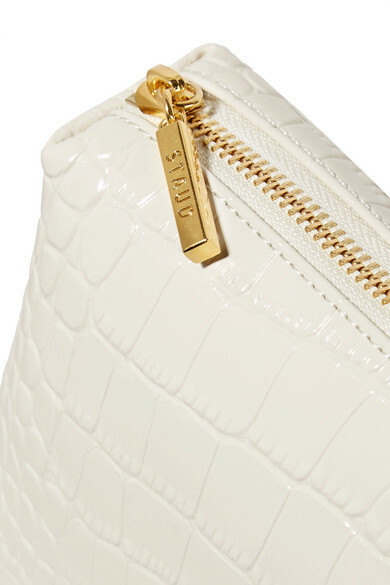 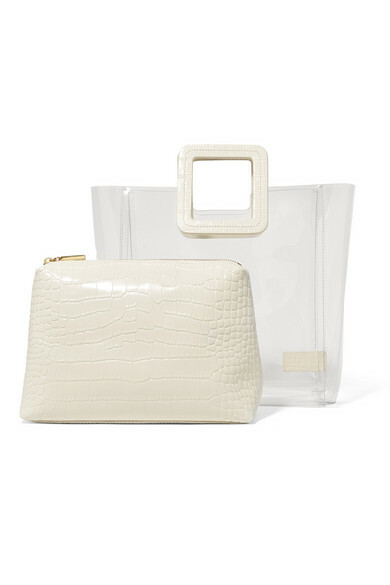 It's accented with cream croc-effect leather handles for added structure and comes with a removable zipped pouch to keep your essentials organized and secure. 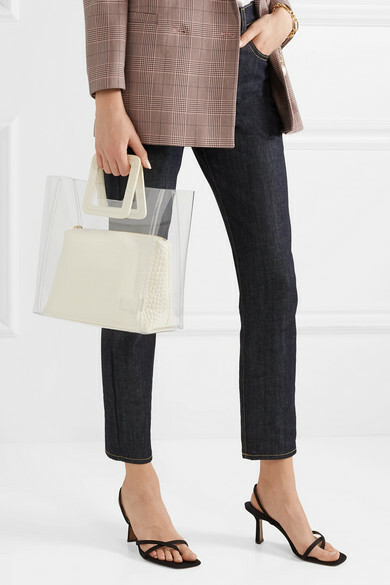 Shown here with: GANNI Blazer, EVE Denim Jeans, Neous Sandals, Sleepy Jones T-shirt, Mounser Bracelet.